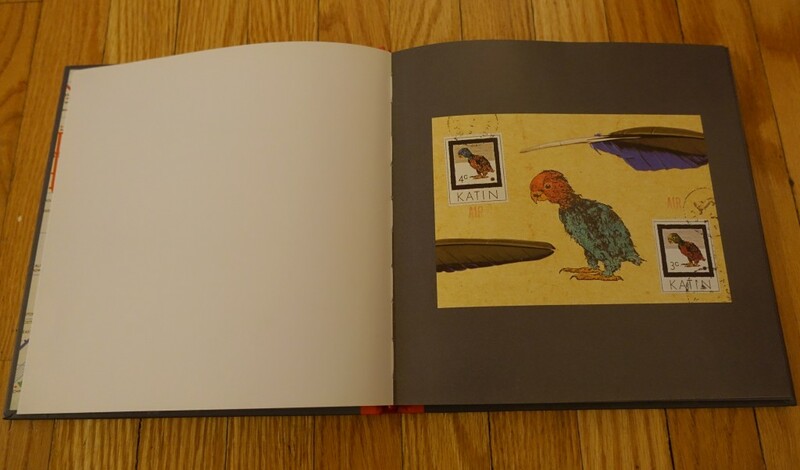 I recently came across Griffin & Sabine: An Extraordinary Correspondence by Nick Bantock. The book is the first part of an epistolary trilogy, which was later followed by a second trilogy, Morning Star. 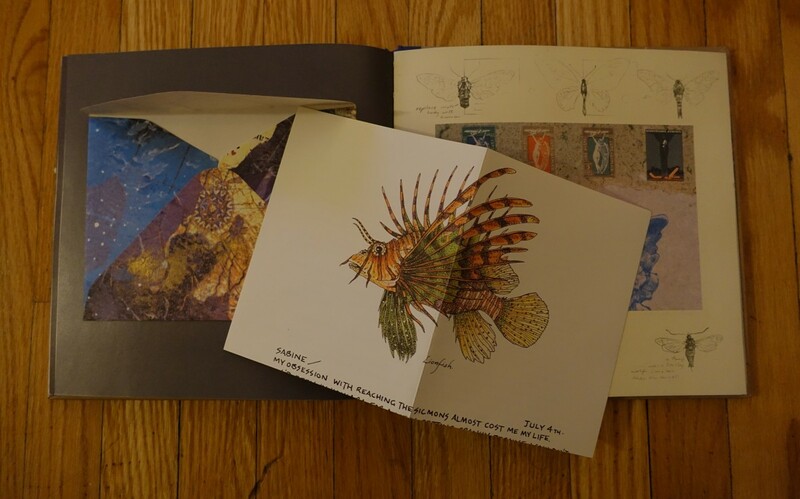 All of the books follow the correspondence of two artists, Griffin and Sabine, as they discover their peculiar connection. 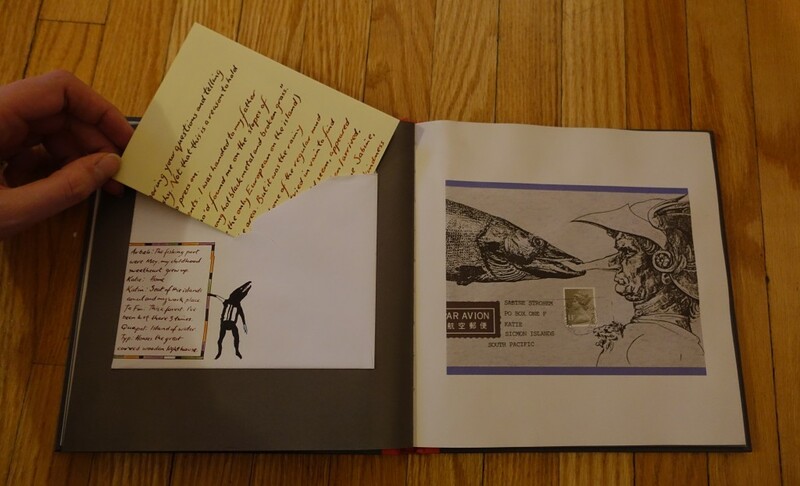 The books are filled with Bantock’s art, both on the postcards and the envelopes. The series is impressive in the artwork and storytelling, but the interactive form is largely what allows for the art and story to come together. 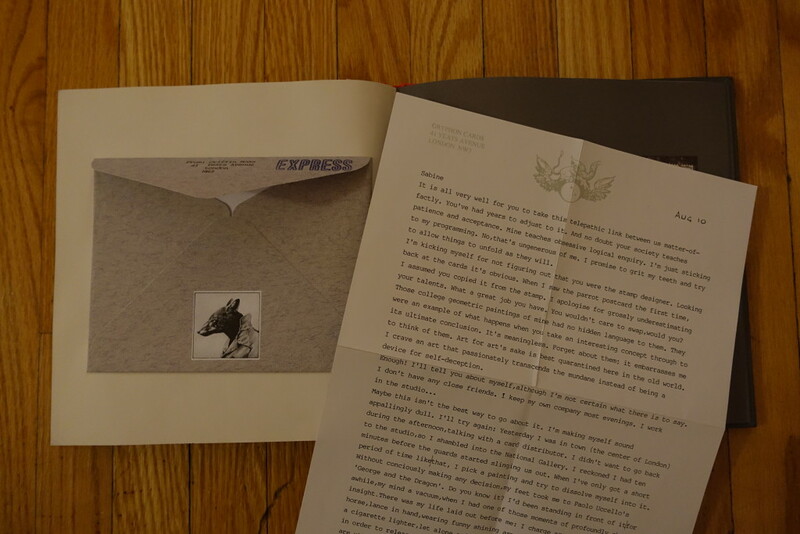 The two images below show a letter from Sabine to Griffin and a letter from Griffin to Sabine, respectively. Bantock uses the style of the paper and the implied production of the text (handwriting versus typewriting) to not only differentiate between the characters, but to show the differences in their characters. Sabine is a whimsical stamp artist living on the Simcon Islands, a fictional group of islands in the South Pacific. Griffin is a jaded graphic artists stuck in his uninspired London studio. There is a larger issue of the representation of the “exotic East” in this series but that might be for another time. The benefit of the form is that Bantock can keep the correspondence free from obvious authorial intervention and really allow for the two characters to speak with their own voice. Unlike a typical epistolary novel, which is usually structured like a regular novel (maybe with various fonts to represent characters), this form allowed Bantock to show much of the characterization through the way the characters styled their letters. Although the format allows for a more complex narrative than a traditional epistolary novel (no spoilers), it is still a relatively familiar form. What is fascinating about this series is that it will once gain be renewed, but this time digitally by the Bound Press (a wonderfully named digital content and VR developer, but that name is a whole other analysis). Taking it a step further, they developed an Oculus-optimized Virtual Reality version of Griffin’s Studio. In some ways, these moves are logical since they are really just taking the immersive quality of Bantack’s books a step further. I’m interested to see how the App will be developed and how (or if) it will change the experience of this story. Will it lose its unique epistolary feel once you have to merely click on the letters to open them? Will that even matter if the digital form can add further insight into the characters? Bantock, Nick. 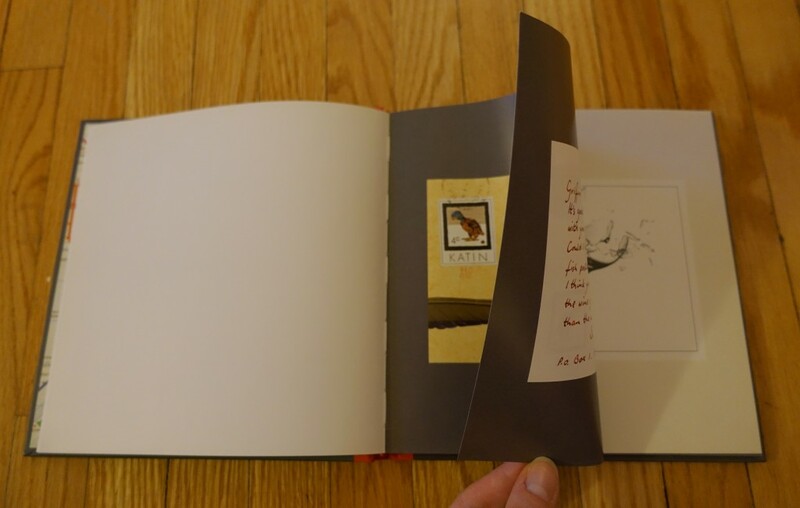 Griffin & Sabine: An Extraordinary Correspondence. San Francisco: Chronicle Books, 1991. This book also inspired a parody, Sheldon and Mrs. Levine: An Excruciating Correspondence, which is sadly not available at the libraries.